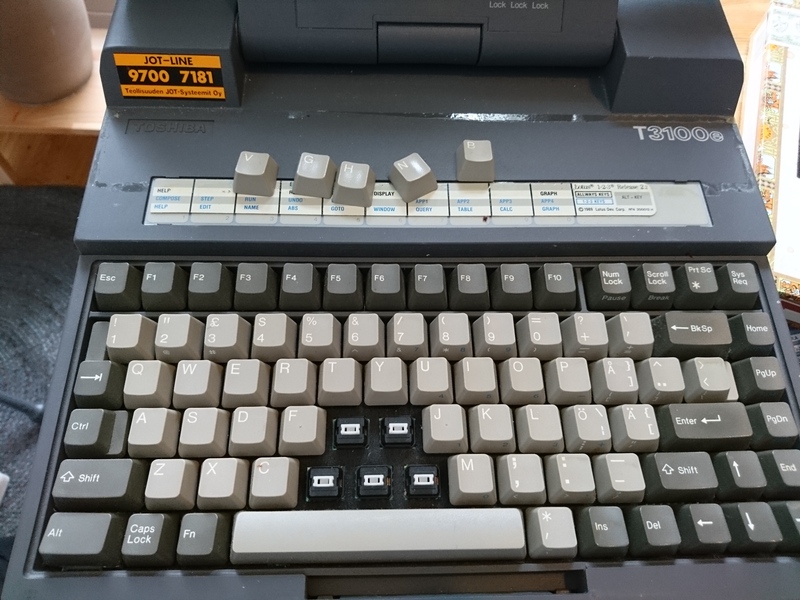 Sits in something called an East KB-5102 that a guy is selling, and i cant seem to find much info about. It's from Sony KI-9700P. Who know it? They remind me a lot of SMK spring-over-dome. Those are nice. But that could maybe be just a dome with slider. Where can I read more info about it? I couldn't find any existing info about them when I got them, unfortunately. I saw only "SMK" on the PCB. Any idea what these might be? I haven't seen anything with that housing before. Googling the FCC ID it looks to be a Deyi keyboard. Coulf use some help identifying. Got this Toshiba T3100e today. 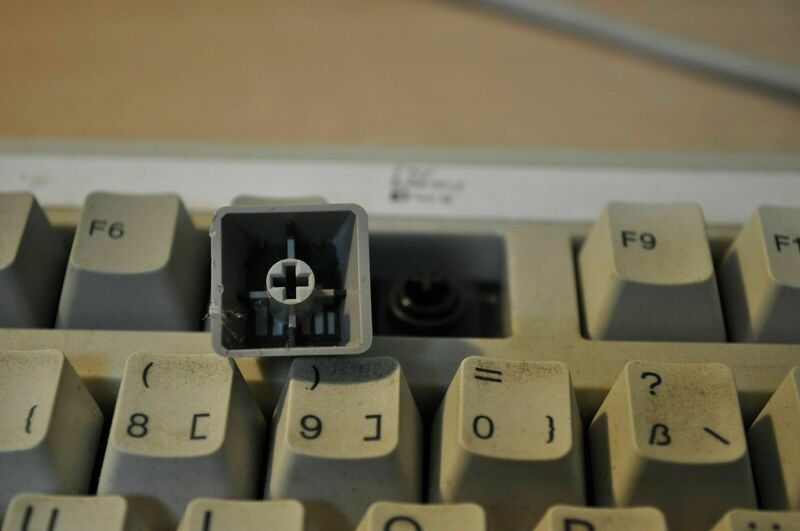 That model is known to have Alps SKFL switches. However, mine clearly does not. At first sight I guessed SMK 2nd gen, but nope. Then maybe Alps SKFR/SKFS, but it's not that either. No visible branding. They feel definately very Alps linear like(ish). 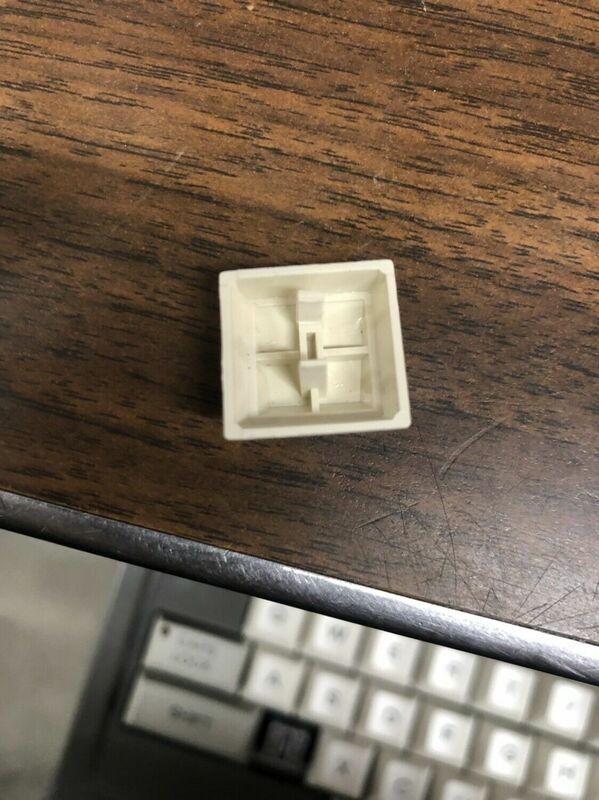 Very smooth and light linear switch. Despite the low profile it feels like full travel switch. I'm actually not at all disapointed getting these instead on SKFL. They feel great. Would just like to know what they are? Anyone know what clones these are? Many of those clones are impossible to place unless you can get a good view of the insides. Today I have received a Datacomp DFK 192 from a fellow deskthority member. I am a little bit uncertain about the switches. 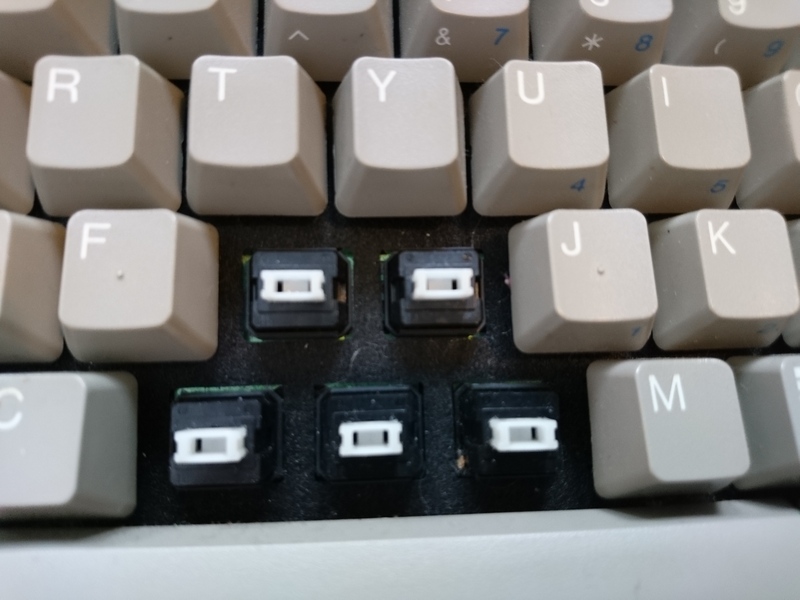 I assume they are SMK 2nd generation with ALPS mount. 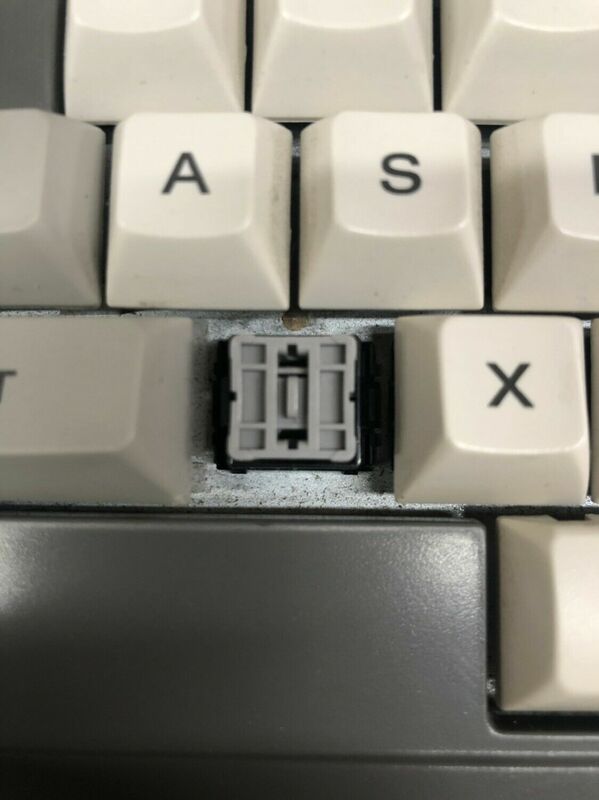 But are they tactile white or yellowed clicky blues? They are really loud for a tactile switch, so what is this thing??? Looks like tactile whites. The blues turn greenish when yellowed. I am the previous owner of the datacomp, they certainly feel like normal blue SMK switches to me. I've seen apaprently unpigmented ones like this in another DFK 192 before. From a Toshiba Rupo laptop, made in Japan circa 1990-1995.